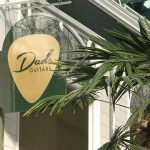 Southport is well and truly set for Christmas! 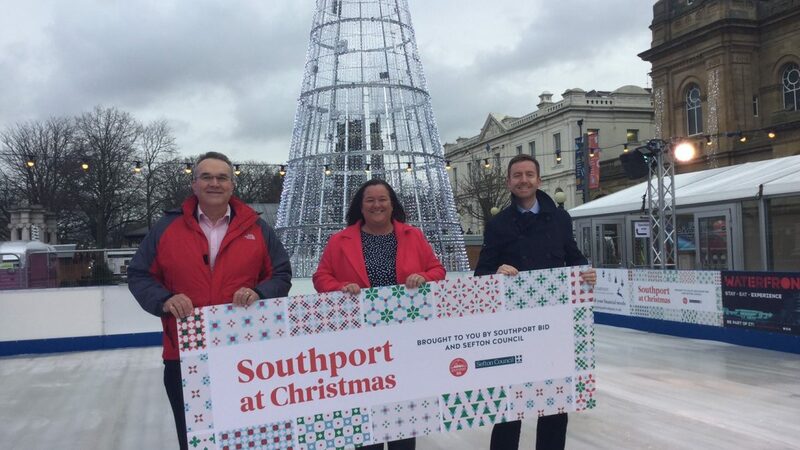 Southport’s amazing new 60 foot digital Christmas tree is lit, the town centre streets are lined with decorations and the open-air ice skating rink is now frozen and ready for skaters! 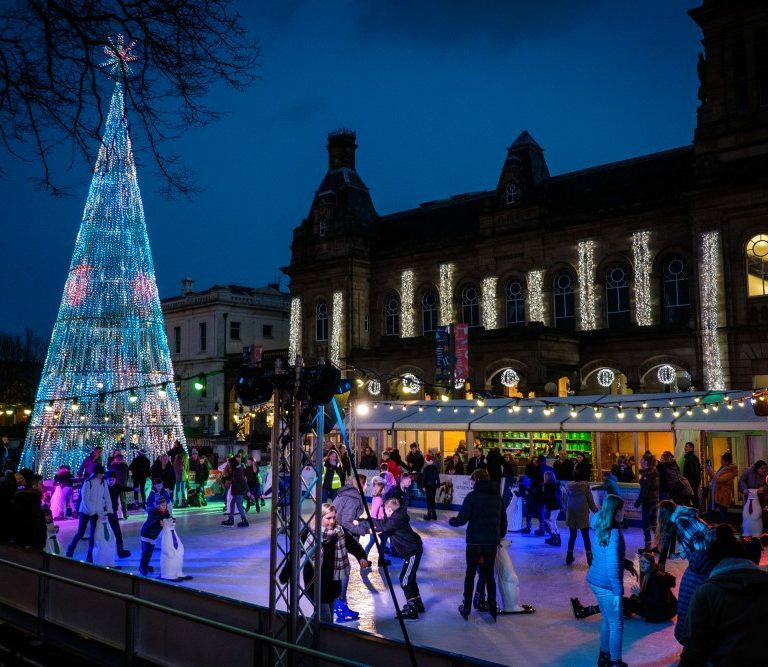 The ice skating rink in the Town Hall gardens is set to open today (December 7) and is organised as part of a partnership between Southport BID and Sefton Council and will be at the heart of the town’s Christmas activity. 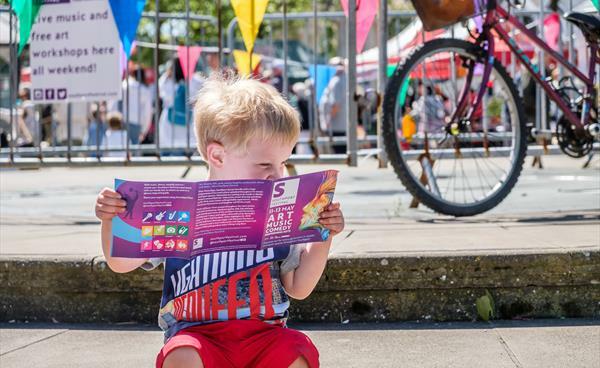 Winter chalets will be selling festive food and drink in the gardens and the tree’s amazing light show can be viewed from both the outside and inside of the impressive structure. 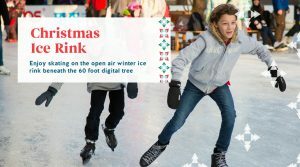 Visitors and residents can skate beneath the tree from as little as £4.50 and enjoy a magical Christmas experience, making memories with friends and family. 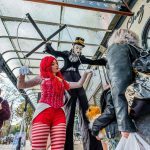 Throughout the festive period businesses across Southport will host various themed events including lunch with Santa, grottos and the ‘Dear Santa’ production at The Atkinson. 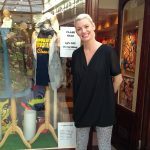 Cllr Marion Atkinson, Sefton Council’s Labour Cabinet Member, Regeneration and Skills, said: “The skating rink is back due to its popularity last year. 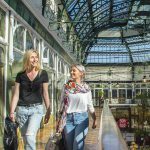 It really puts Southport on the map as a leading Christmas destination and gives both residents and visitors a wonderful festive experience when in the town. 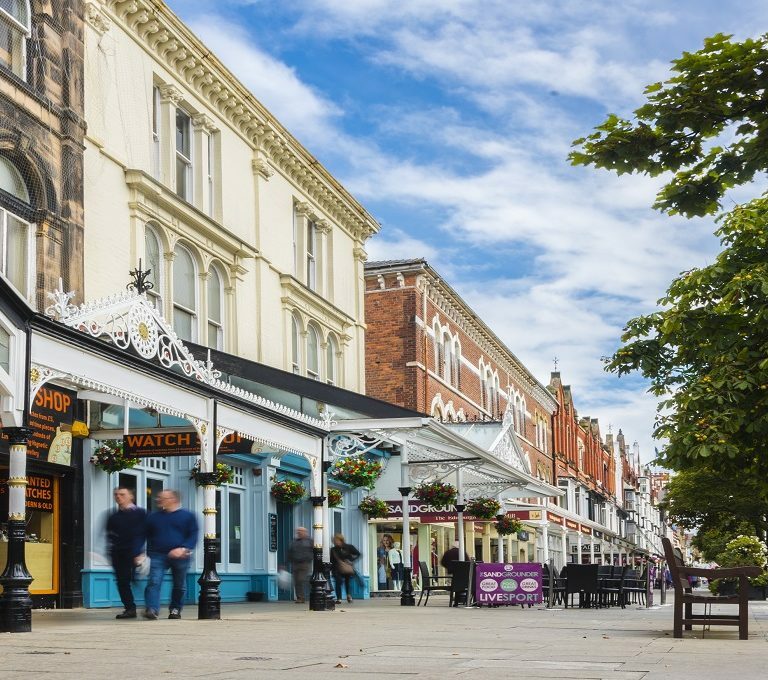 “As well as supporting local businesses by shopping whilst here, visitors can also enjoy seasonal fare in the town’s restaurants and bars. 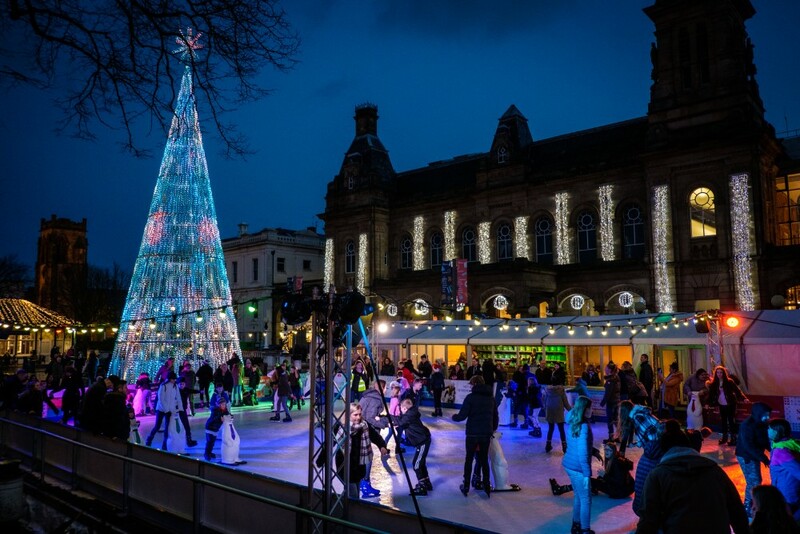 “Local businesses really benefit from the increased footfall to the town throughout December and the skating rink, Christmas tree and food and drink chalets make the Town Hall gardens the hub of Christmas. 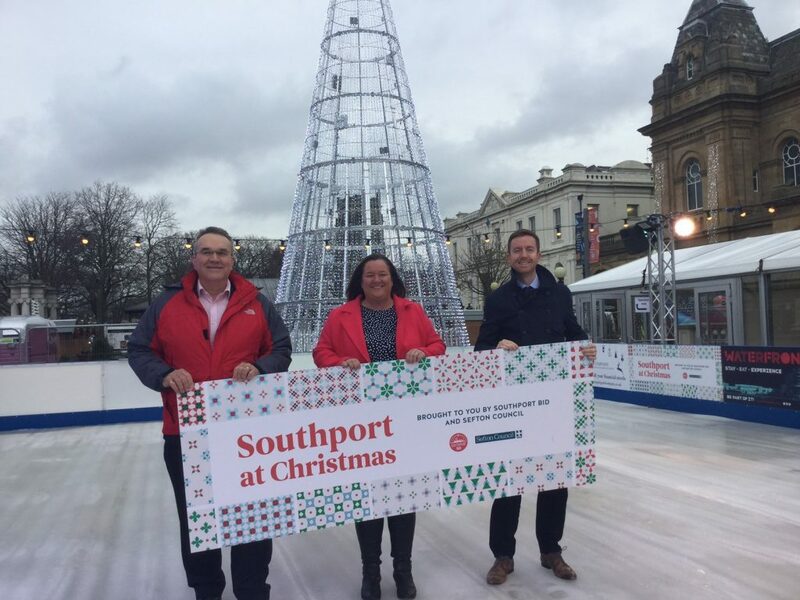 Hugh Evans, Southport BID CEO also added “The BID funded ice rink last year was hugely popular and we are extremely pleased to be bringing it back in partnership with Sefton Council.